Shall we get the name out of the way first? It’s pronounced “soul” and you’re to think not only of the essence coursing through the corporeal shell but also of a very wise bird. 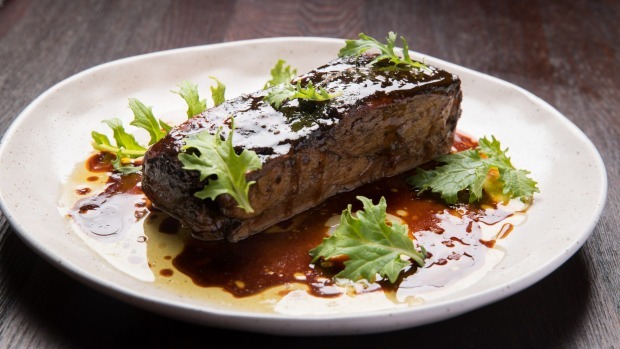 It’s an indication of the balanced, deep experience that chef and owner Yiannis Kasidokostas is striving for: heartfelt, meaningful and considered. Kasidokostas has been cooking for 25 years, mostly in fine-dining restaurants in Athens. He owned restaurants and cafes in Greece before the financial crisis propelled him to Australia six years ago. He was the opening chef at Camberwell’s Elyros, then did a three-year stint at Ca De Vin in the city. Along the way, Kasidokostas has been refining his particular version of filoxenia, an ancient Greek word encompassing generosity, hospitality and welcome. He also puzzled over a modern conundrum: how to offer fine food at keen prices? S.owl brings both filoxenia and frugality to fruition by dispensing with waiters and having chefs – usually Kasidokostas himself – serve the food. This direct pathway from kitchen to table keeps costs down and also allows the chefs to precisely explain what they’ve been cooking up. The food is more Greek than anything else but with a pan-Mediterranean spirit that ropes in ideas from France, northern Africa, Italy and elsewhere. Everything is made in-house: the bread, spice mixes, pasta, and special touches abound. Take the olives (and you might as well; a serve is $3): they’re warmed at 50 degrees for 24 hours, lightly fermenting them so they taste extra fruity. 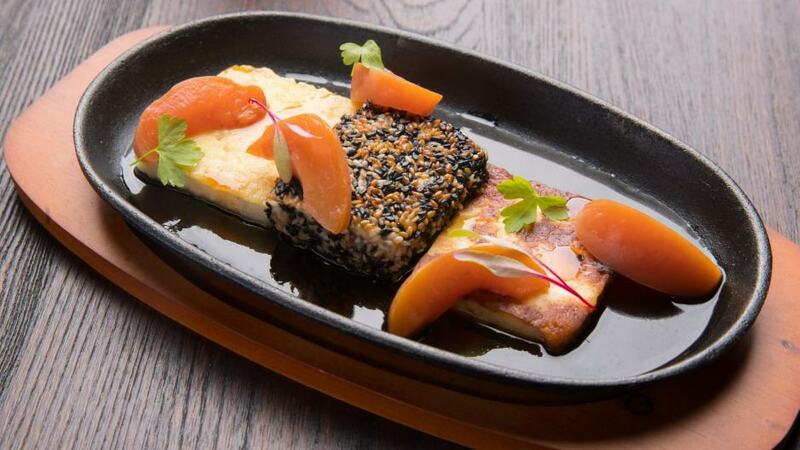 The saganaki is an innovative cheesy triple-play with grilled kefalograviera (the standard gooey stuff), feta rolled in black and white sesame seeds, and haloumi. Sweet baked stone fruits balance the salty richness of the cheese. Tarama is made to an old Athenian recipe, using white roe and potato rather than the standard bread. It’s whipped to a creamy finish, expertly balanced with lemon and onion. Main dishes can be shared as part of a larger spread but also suffice for quick, satisfying dinners. That utilitarian outlook is key to the hospitable take-us-as-you-need us ethos, as is the all-day brunch menu. Baby goat sandwich or curried scramble? Yes, please. There are pasta classics (crab arrabiatta), rethinks (pistachio pesto) and flights of fancy, like a curried char-grilled chicken fettuccine that sounds scary but is a delight to eat: gently spiced, lightly creamy, 100 per cent dreamy. Kasidokostas is obsessed with seafood so the fish specials – local sardines or kingfish fricassee, for example – are worth considering. “Lamb of the gods” is the hero, though: brined, braised, basted shoulder, compressed into a juicy brick and served with a sticky, sturdy jus. It’s heavenly. 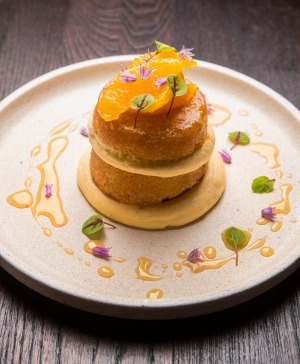 Desserts include fancy rum baba, a yeasted cake drowned in rum-spiked orange syrup then layered with creme diplomat, an old-school pastry cream that resembles a fluffy custard cloud. Gleaming, nutty baklava is paired with kaimaki ice-cream, snowy white and flavoured with mastic, a resin with subtle pine notes. S.owl is a happy addition to the south-east. 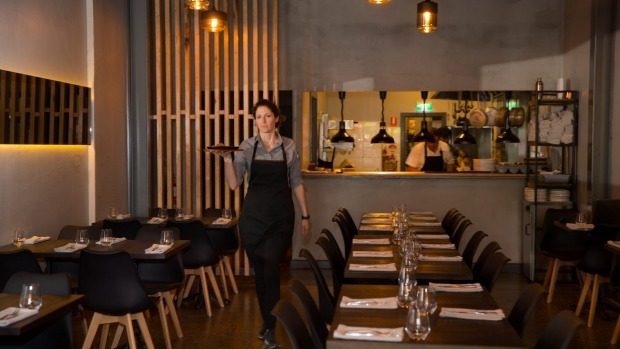 It’s a welcoming and accessible blend of humble and ambitious, of honouring tradition and looking forward, of soulful and clever, and to choose to eat here would be a very wise decision indeed. First published in Good Food, 4th December 2018.